The Pisces Pendant measures 2.8 cm (1 1/8 in) across. 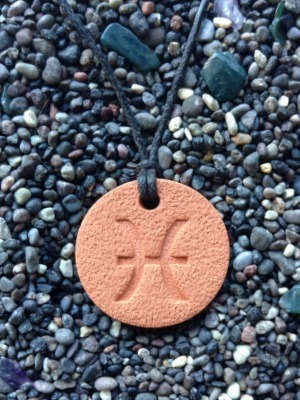 The sensitive Pisces soul will love this pendant. It’s graceful feeling will feed their artistic nature.